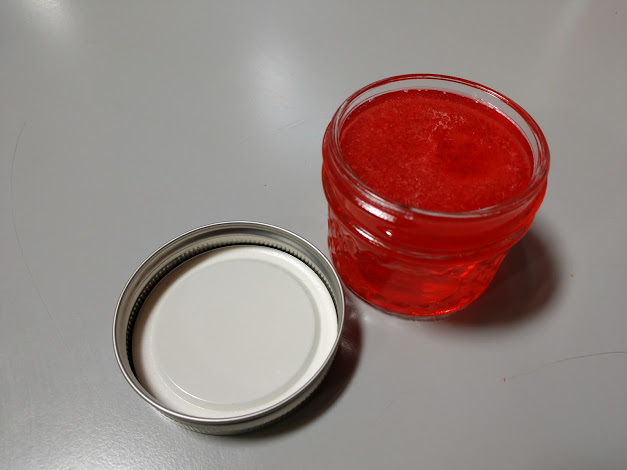 Jelly soap in a mason jar is a great addition to your shelves for any season. What better way to display product than in little 4-ounce glass jars. 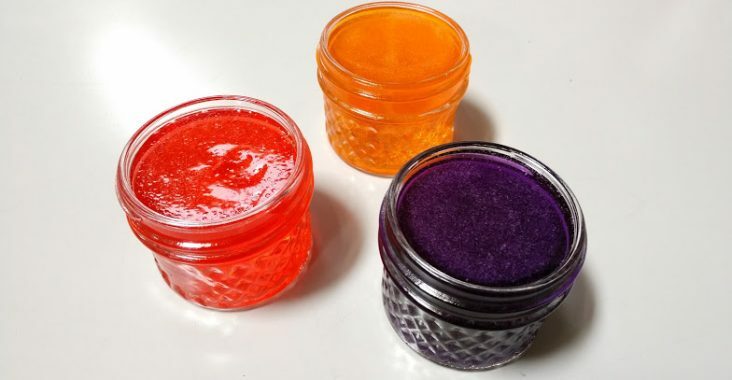 These jelly soaps will look just like jars of homemade jelly. 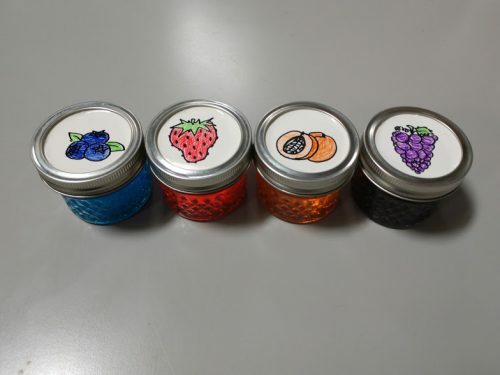 Jelly Soap In Mason Jars (Left to Right) Blueberry, Strawberry, Apricot, and Grape. Here is a link for the jars we used for this tutorial. They are a perfect size for using either whole. Or you can pinch off little bits at a time. 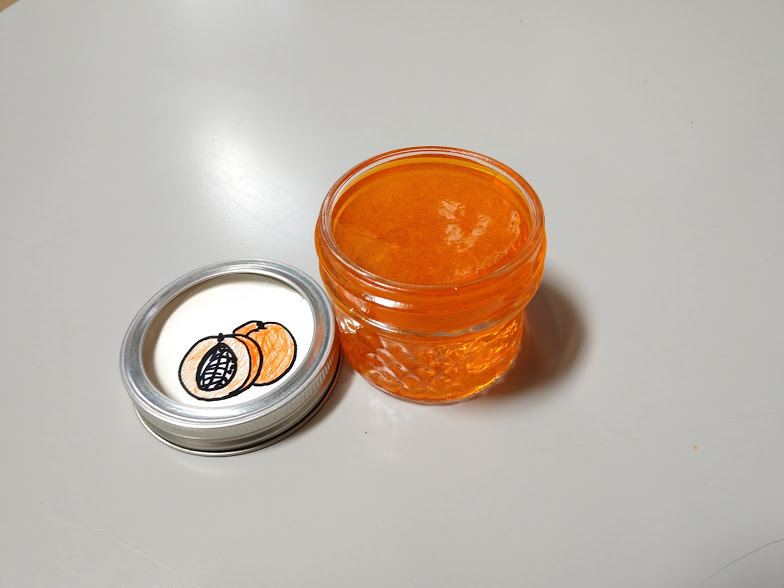 The Jar brand doesn’t have to be Mason, however, any 4-ounce heat safe jar will do. And be sure to label the jars as not a food item. They will look and smell scrumptious, but they are not for eating! This Recipe will make roughly 22-25 4 ounce jars. Mix and Match the scents and colors for a variety. 1-ounce Fragrances: Strawberries, Concord Grape, Blazin’ Blueberry, Apricot Marmalade, and Maraschino Cherry. Double boiler with a lid. *Optional* Cloth pieces to go over lid, and ribbon or string. Split soap into 5 even batches of 25.6 ounces. Take one batch of soap and melt until the soap is liquid. Then add 25 drops of color and 6.4 ml of fragrance to each batch. Finally, when everything is mixed, pour into the finished jelly soap in the 4oz jars, and spray with alcohol. Let cool completely before covering and labeling. Repeat these steps for each batch of 5 jelly soaps. Here is our recommendation for matching colors to fragrances. However, you are more than welcome to come up with your own combinations. Strawberries: Color with cherry colorant. Grape Soda: Color with violet colorant. 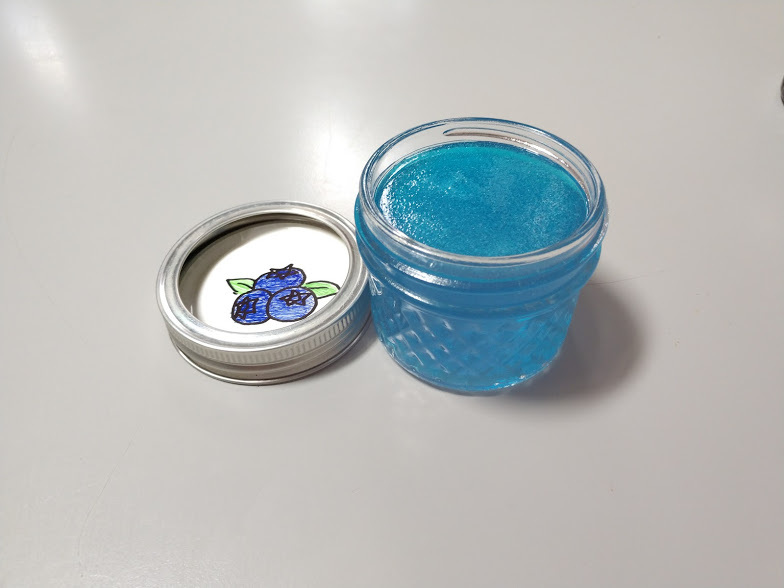 Blazin Blueberry: Color with blue colorant. Apricot Marmalade: Color with tangerine colorant. Blackberry Vanilla: Color with blue and violet colorant. These steps are completely optional, and they don’t take up much extra time at all. Not to mention they add such a nice touch to the finished jelly soap in a mason jar. Cut -x- cloth pieces, leave an even amount of overhang on the entire perimeter of the lid. Tie the cloth square down around the lid. Hold it down by tying a piece of ribbon or string around the neck of the jar. Hello Judith, you can pinch off little pieces or use the jelly soap just like a regular bar of soap. Simply tip the jar and the soap will come out in one piece like gelatin.